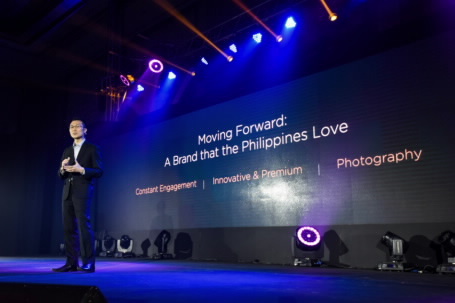 MANILA, APRIL 2017 - With HUAWEI launching its newest flagship products, the HUAWEI P10 and HUAWEI P10 Plus in the Philippines, the global technology brand expands its reaches further across the world. The HUAWEI P10 and HUAWEI P10 Plus features innovative photography capabilities, co-engineered with Leica to create a powerful dual camera system. Through this technology, HUAWEI manages to capture portraits of everyday people with untold stories beneath the frame. Incidentally, HUAWEI's untold story also reveals a company that seeks not only to surpass industry giants, but to craft a brand that consumers fervently love. 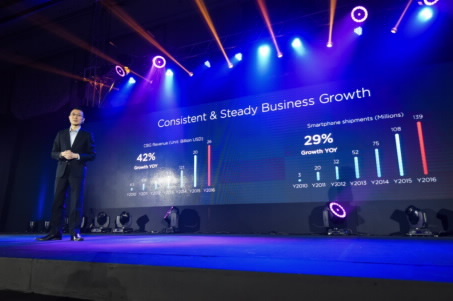 Luke Au, Product Marketing Director (Handset) for South Pacific region speaks at the HUAWEI P10 and HUAWEI P10 Plus Launch on plans for the new smartphones and HUAWEI in the region. The release of the HUAWEI P10 and HUAWEI P10 Plus is a leap even closer towards HUAWEI’s vision for global leadership in consumer technology by establishing itself as a user-focused company, excelling in service and attracting a larger customer base. In the last five years, HUAWEI has exhibited steady growth despite a saturated premium mobile market – a testament to the brand's resilience and industry-leading innovation. HUAWEI maintained a remarkable growth, achieving sales revenue of $27 billion, an increase of 42% for five consecutive years. Evidence of this is smartphone shipments reaching 139 million units worldwide, with the record- setting HUAWEI P9 and HUAWEI P9 Plus exceeding 10 million units sold. HUAWEI is confident that the HUAWEI P10 will ship more than its predecessor globally. With the advancements in the revolutionary flagship P-series of premium smartphones, notably the HUAWEI P10 and HUAWEI P10 Plus - a perfect combination of technology and photography and a product of the extension of the smartphone brand’s partnership with Leica Camera AG, HUAWEI is confident that its sales footprint in the Philippines and other key markets in the South Pacific region will continue to rise in succeeding years. Regional performance of HUAWEI devices have also seen significant expansion into markets in Northeastern Europe (20% market share), Western Europe (15%), Africa (15%), Latin America (15%), and Southeast Asia (10%). Naturally, HUAWEI leads smartphone sales in home turf China with an 18.1% market share. Inheriting momentum from its global performance, the tech giant is starting to breakthrough in the South Pacific region. A 126% growth in annual smartphone market share saw HUAWEI’s close 2016 with a 4.3% annual market share compared with 1.9% in previous year. Specifically in the >USD $500 segment, HUAWEI’s market share is 3% in 2016, growing from 0.7% in the previous year. In its astounding vision to continue competing in the packed premium device segment, HUAWEI seeks to differentiate itself with products that integrate cutting-edge tech and artistic vision. Observers see this as an uphill battle, but examination of Facebook user data analyzis reveals that the 18 - 34 aged user demographic saw an increase from 37% to 58% for HUAWEI P9 adoption coming from the HUAWEI P8. Seeking to solidify its status as a well-loved consumer brand, HUAWEI will continue to develop smarter, more ingenious and fashionable mobile experiences for the modern user. The HUAWEI P10 and HUAWEI P10 Plus marks this aggressive push for tech industry dominance, and consumer-centric innovative excellence. “The 2017 game plan for HUAWEI consumer business will keep consumers at the center, around the channel, retail, brand, marketing, and services that continue to build the market for the consumer market capacity, strengthen the business base, and actively promote the refinement of business and customer service. 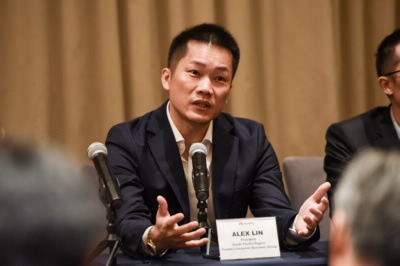 Our vision as a tech brand is to create a positive outlook for smart products, innovation, and continue to create a good scene for consumers’ smart life experience to become the world's consumer favorite cultural and technology brand,” shares Alex Lin, President of HUAWEI Consumer Business Group for South Pacific region. To sweeten the deal for Filipino customers, HUAWEI partners with telecom giant Globe, offering the HUAWEI P10 flagship device FREE at Globe ThePLAN 1799. The HUAWEI P10 Globe ThePLAN 1799 includes 11 GB of data, Unli-AllNet Texts and Unli-Calls to Globe & TM, Netflix access for 6 months, Spotify Premium access for 3 months, HOOQ access for 6 months. To know more about this package, you may visit Globe.com.ph/huaweip10. The HUAWEI P10 and HUAWEI P10 Plus will retail for Php 28,990 and Php 36,990 respectively, via HUAWEI Experience Stores and retail partners nationwide.